I spent some time this weekend programming my automated calculator, so let’s see how it did. Boy, did I get to test a doozy of a situation. Let’s see what each player should do. Remember, we save the dollar changes until the end. 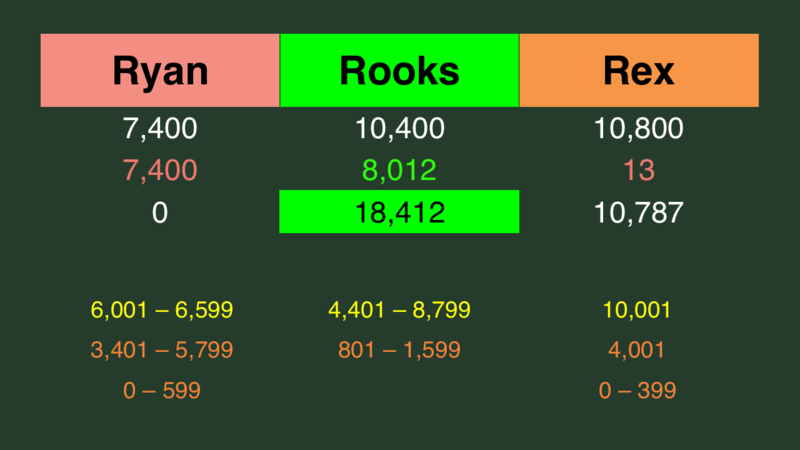 If Rooks doubles her score, she’ll have 20,800. To cover this all-in wager, Rex will need to wager 10,000. An incorrect response with that wager will leave Rex with 800. 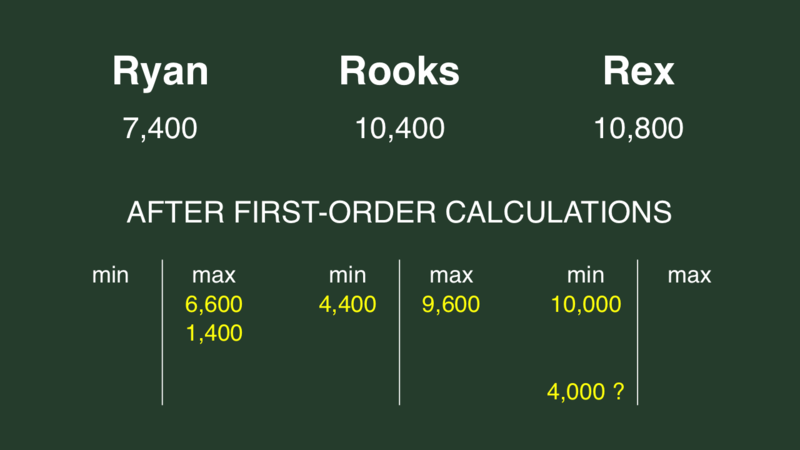 To stay above his total, Rooks can wager up to 9,600. Ryan can wager up to 6,600. A successful doubling will put Ryan at 14,800. To cover this, Rooks should wager at least 4,400. 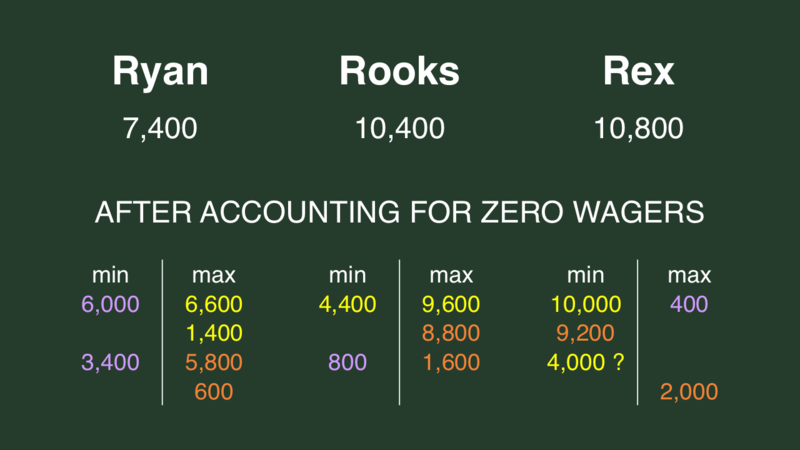 If Rooks makes the rational maximum wager of 9,600, Rex will need to wager 9,200 to cover her. 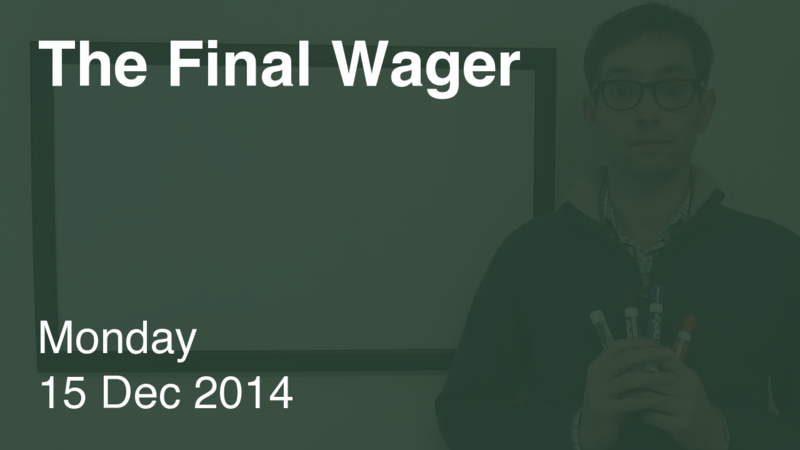 If he’s wrong with that wager, he’ll be left with 1,600. 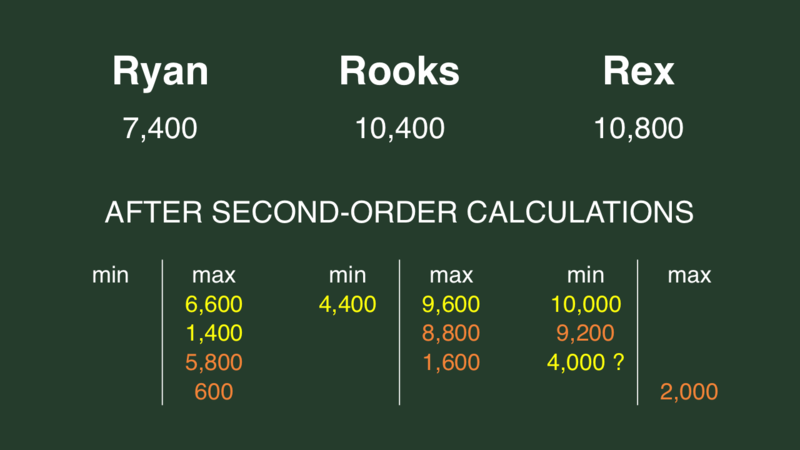 To stay above him, Rooks can wager up to 8,800. Ryan may risk up to 5,800. Against Rooks, Ryan can wager at most 1,400. With a correct response, he’ll have 8,800. To stay above this, Rooks can wager at most 1,600. How does each player cover – or stay above – a zero wager by each other player?